We are having friends over for dinner this week and I want something special to serve to kick off the meal. 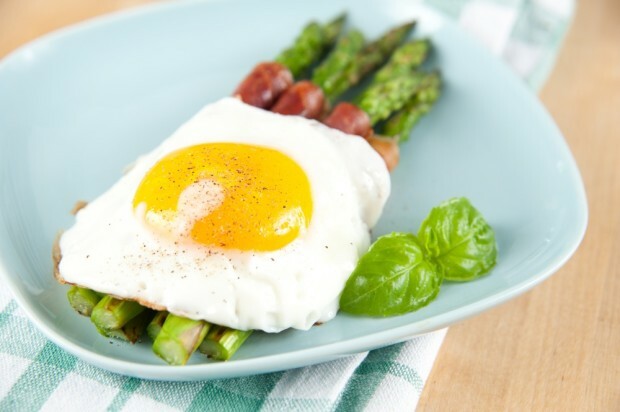 One of my favorite restaurant starters is simple bacon wrapped asparagus and I love when they add a poached or fried egg on top. To recreate it at home, I decided to add proscuitto instead of bacon since it is lower in fat (ham or bacon would work as well) and top it with a nicely fried over easy egg. Makes a perfect starter or meal. Today’s recipe is for one of my all time favorite healthy snacks. Quick and simply stuffed cucumbers with a spicy garlic yogurt sauce. For a heartier meal I like to add crab, salmon, tuna, or canned chicken to the yogurt mixture for added protein. 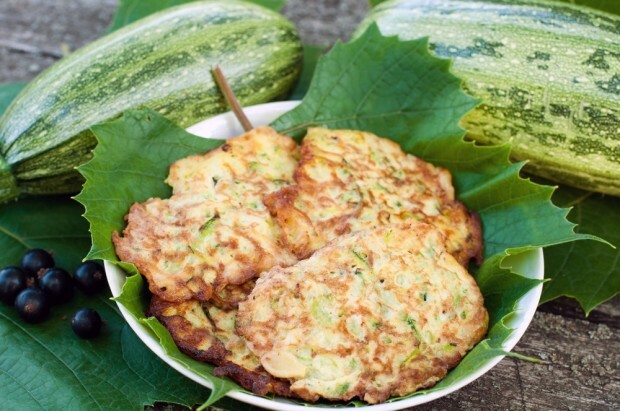 These also make a great appetizer if you are looking for a Dukan friendly treat to bring to a get together. 1. Mix together the yogurt, garlic, paprika, dill, and chili powder. Let refrigerate for at least 45 minutes. 2. Cut cucumbers into rounds and scoop out most of the inside using a spoon. 2. 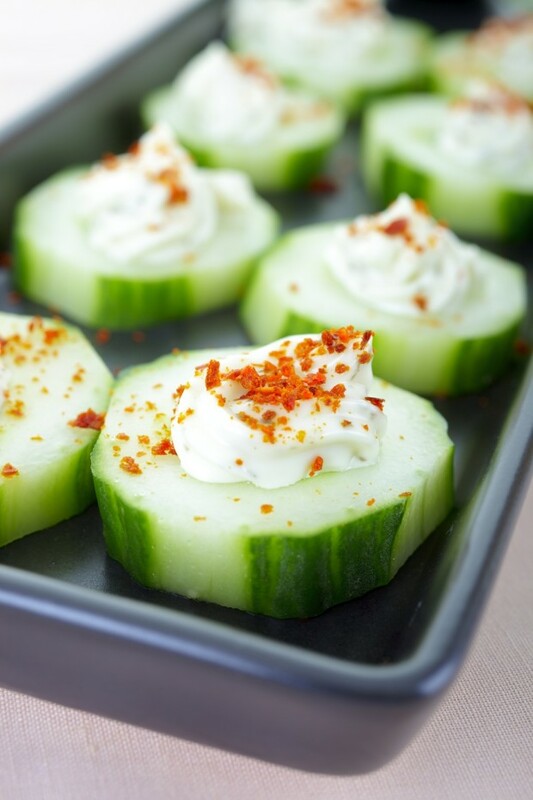 Fill each cucumber with yogurt mixture and tip with chili powder or paprika. According to a recent study, having a cup of vegetable or low calorie soup before a meal can be a great way to eat less and lower your overall caloric intake. However on Dukan, especially during the Attack phase, plain broth can get boring quickly. 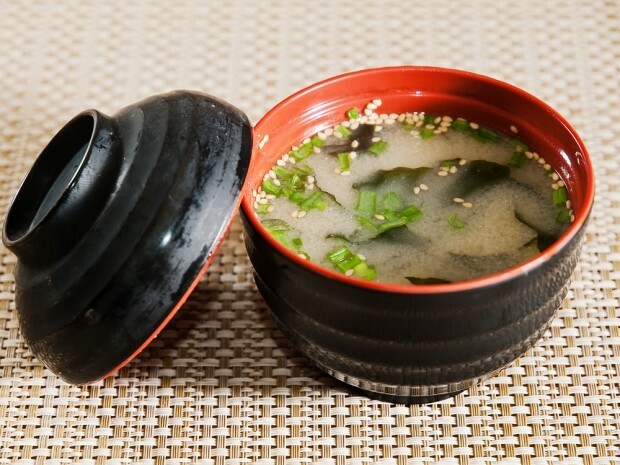 Miso soup is a great alternative and although some Dukan purists may shy away from it due to the soy content, in my opinion it is so low (only about 10 calories worth) that it won’t make an impact on weight loss of the success of the diet. Consider adding some shrimp, shredded chicken, or sliced vegetables as well to make it more filling. Although I love a good breakfast pancake, sometimes there is nothing better than a savory pancake paired with your favorite grilled meats, smoked salmon, or light cheese. These simple chive pancakes are one of my favorites and incorporate the 2 tbsp. of oat bran you need daily. Completely eliminating dessert can be tricky for many people when they start out on Dukan. This is especially hard during the Attack phase when you are only eating protein. 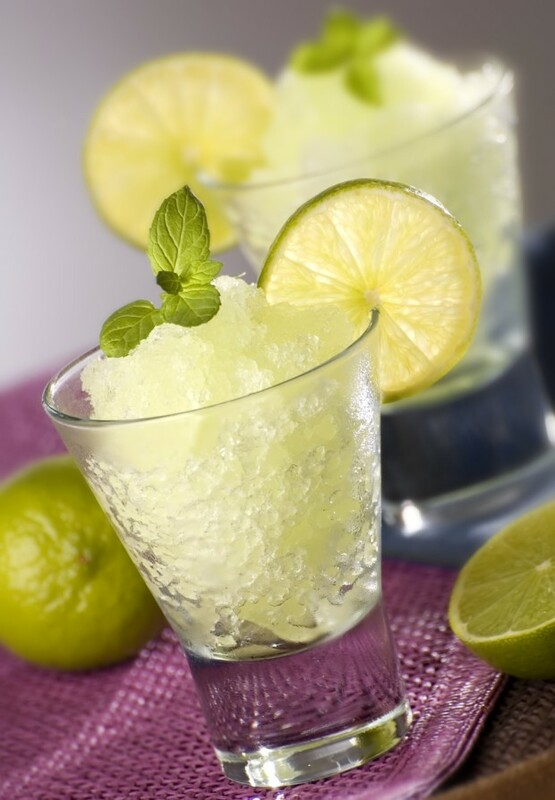 However this simple granita may be the trick to getting through the tough times. Using just lime juice, water, and Stevia – it works for any phase and only has 8 calories per serving. The whole recipe comes in under 32 calories. Consider making it with lime juice, lemon juice, or even coffee for different flavor combinations. 1. Combine the lime juice, lime zest, water, and Stevia in a bowl. Stir together well. Taste and adjust sweetness to your liking by adding more Stevia. 2. Pour the mixture into a large baking dish. It shouldn’t be more than one inch deep. 3. Place in the freezer. After one hour, remove and scrap with 1-2 forks to break up the ice. 4. Place back in the freezer and continuing scraping every 30-40 minutes until everything has turned to ice flakes. 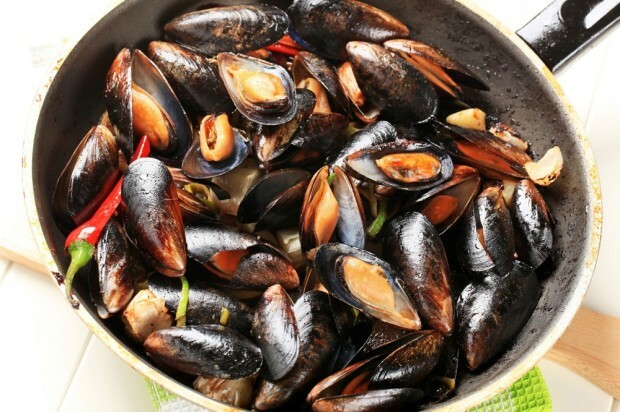 Mussels are one of my favorite things to serve to a crowd since they are much less expensive than other shellfish. For this Asian inspired mussel recipe, the mussels are cooked in a simple broth with garlic, ginger, chiles, and fish sauce. The flavors are spicy, clean, and delicious. 1. Add everything except the mussels to a large pot and bring to a summer. Let simmer for 5 minutes. 2. Add the mussels and cover immediately. 3. Steam for 5-7 minutes until mussels open up. Am I able to drink fruit juice on the Dr. Dukan Diet?